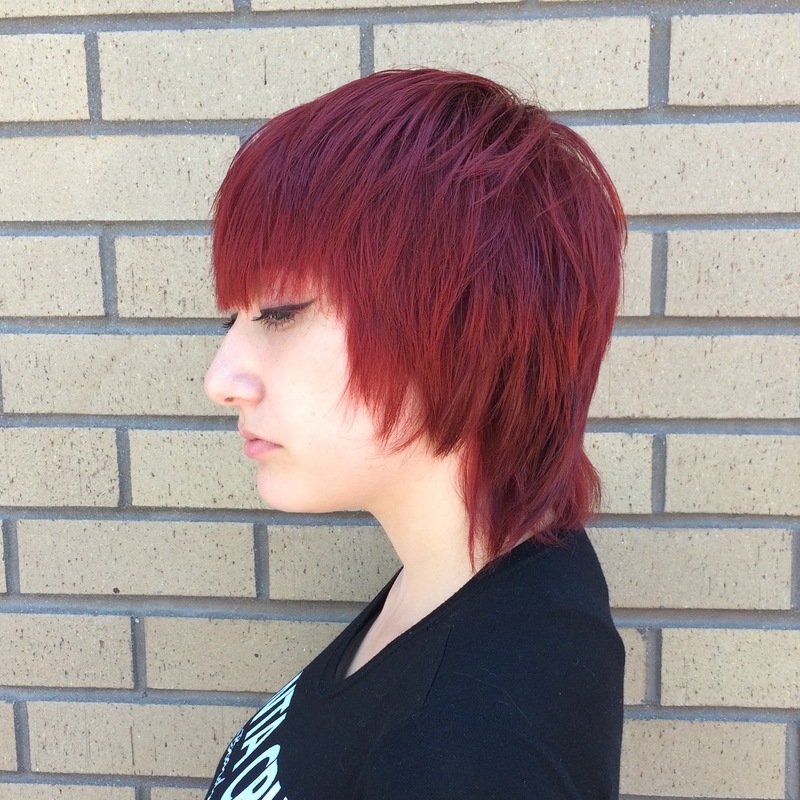 Here are some tips on going & staying red! So you just got your hair colored & it’s bright as a fire truck, first things first products. Dry shampoo is a girl’s best friend, refraining from washing for the first two days helps the color fully penetrate, & washing as little as possible after that helps prevent fading. When a wash is necessary a sulfate-free shampoo is the only option, it makes a world’s difference! A little personal tip: I’ll keep my hair up in a bun for a majority of my shower & when I’m just about finished up I’ll wash & condition, using cold water to make sure the cuticle is closed & the color is locked in! Another product I use is a leave-in conditioner, they are so so helpful by keeping colors vibrant & acting as a heat protectant. A gloss is such a great idea for beautiful hair, it’s a demi-permanent service that lasts about a month, it fills the cuticle making sure the color molecules are trapped in & gives immense shine. I’d recommend getting a gloss & trim duo every 2 months. My last tip would be to stay out of chlorinated water & too much sun light, these can be the worst nightmare for a red head. Next Fall’s here, so stay warm.